With a little fairy that revolves inside as the music plays, this Reed and Barton sweet pink jewelry box is sure to delight. 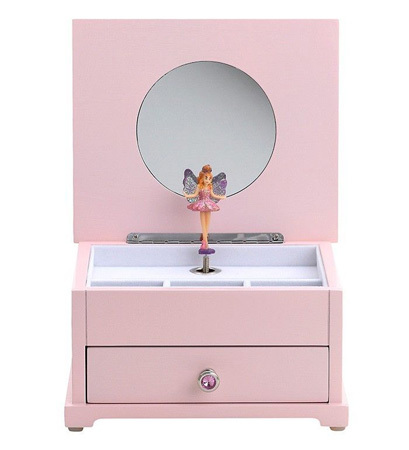 Dimensions: 7.63"L x 6.5"W x 4.25"H. Wood body with pink finish and in-lid mirror. Fairy spins to the sounds of the "Nutcracker Suite."